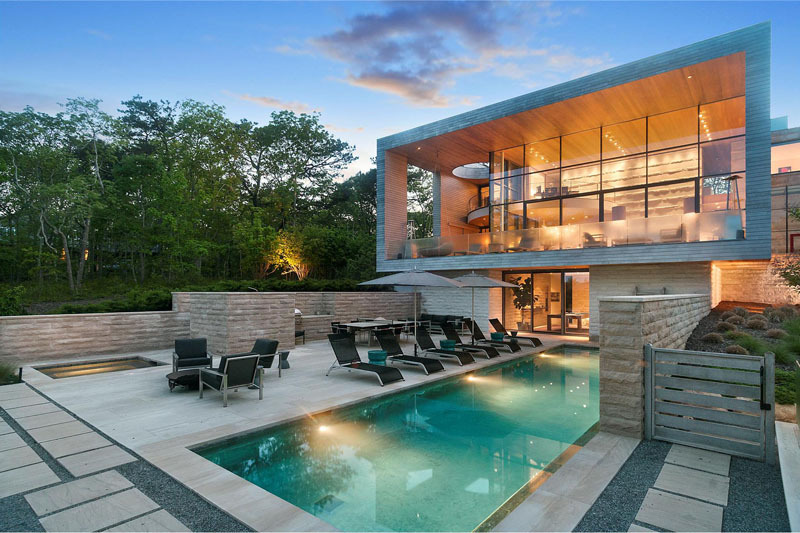 A lovely contemporary house with a pool and a stunning view of the forest. 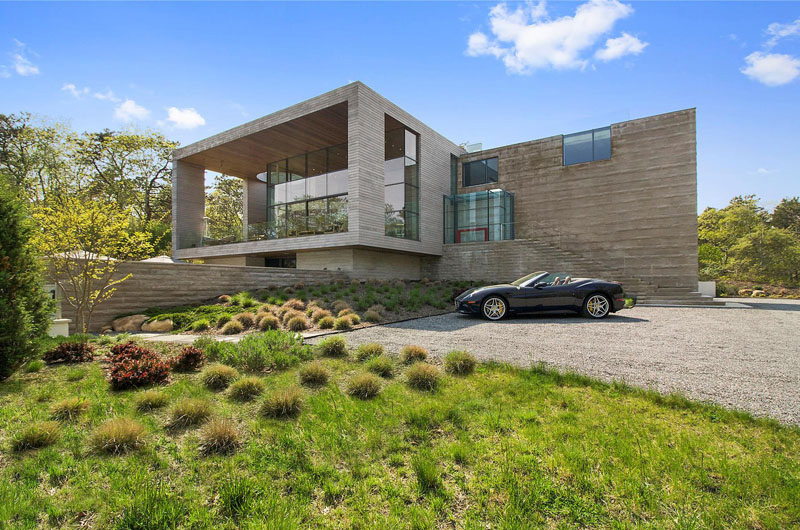 Contemporary homes come in different designs and most of them are very impressive especially on how they play with the combination of shapes and lines in it. These homes also use different materials which makes them unique from other homes of the same motif. Of course, aside from the exterior design of a home, the interior also varies too because of the difference in size and shape of the homes. Today, we are going to show you a house that has a unique contemporary look. What makes it even more appealing is its location where you can find many trees. 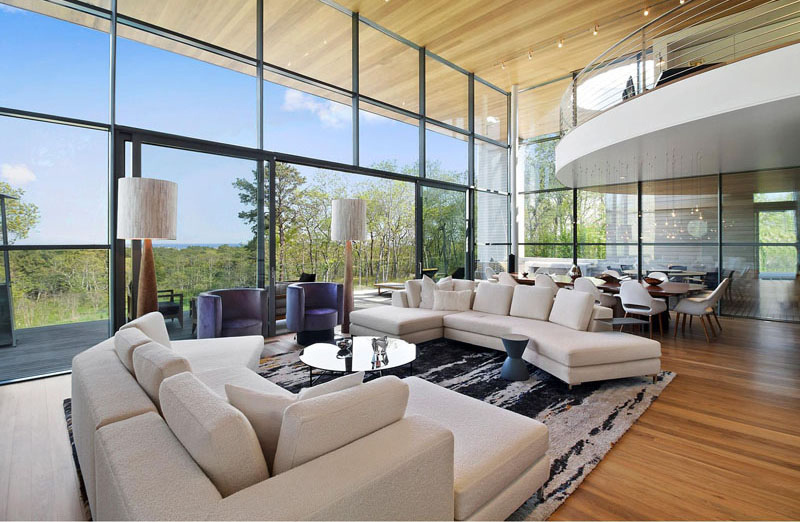 The home is called Hamptons Residence which is designed by Barnes Coy Architects. It sits on 1.5+ acres and has a landscaped yard, an outdoor swimming pool and deck which are perfect for entertaining. It is located on an area with tall forest trees and it also has an impressive landscaping as well. It is amazing that while you are in the home, you have that feeling of being part of nature around you. 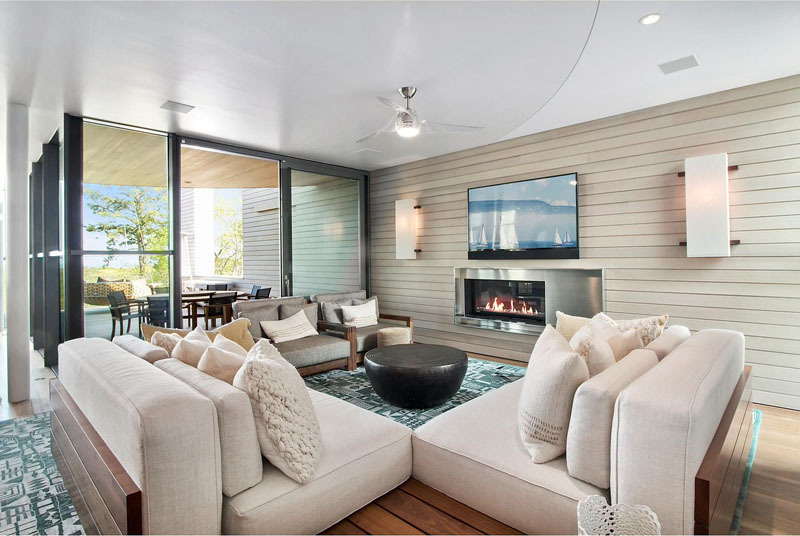 Aside from that, its interior is also very pleasing as well with a lovely layout that provides a perfect flow and access to the areas of the home. Let us take a look at the house below. Unique feature: A beautiful two-storey contemporary home with a pool and an outdoor area. It has geometric features in its exterior. 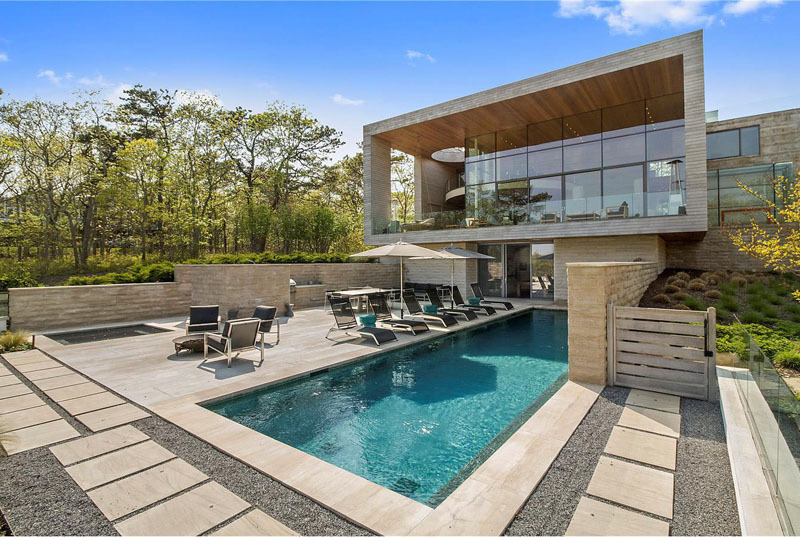 This secluded home in the Hamptons of New York is being surrounded by trees and it has amazing views of the area. Seen here is the pool when lighted as well as its lovely surroundings. When the lights are on during the night, the house looks even more beautiful and dramatic. Even the garden has lights too. In this part of the home’s outdoor area is where one can park their cars. Aside from that, you will also notice that there are bushes in it everywhere. This is the pool area with different places for seating and dining. The pool may be simple but it can certainly give one the kind of fun and relaxation that they want. Just off the swimming pool is a games room and bar area. It would be nice to uwind here and to have some fun times with family and friends. Heading upstairs is the main open plan living area. 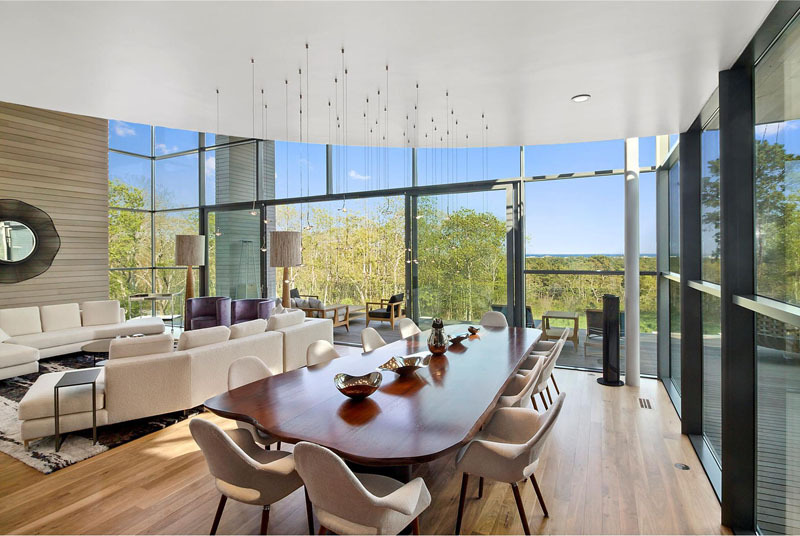 The large double-height ceiling makes the space feel open and airy, and the wall of windows provides amazing views, and opens out onto the balcony. Seen in the same space as the living area is the dining table with plenty of room for guests. Around the corner in the house is an outdoor dining table and an access to another sitting area inside, with a modern fireplace. 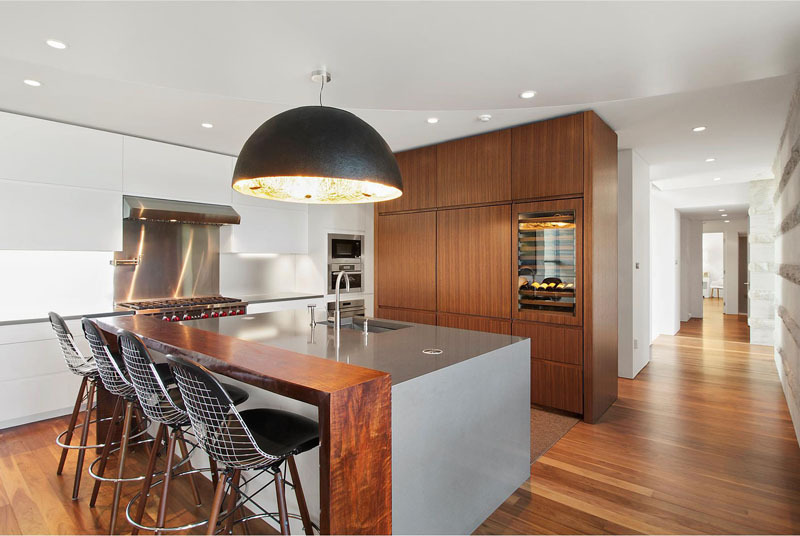 In the kitchen, there is a central island with bar seating and a large pendant light. It used wood and a gray countertop. The island has a counter-height chair made of metal wire and pads. 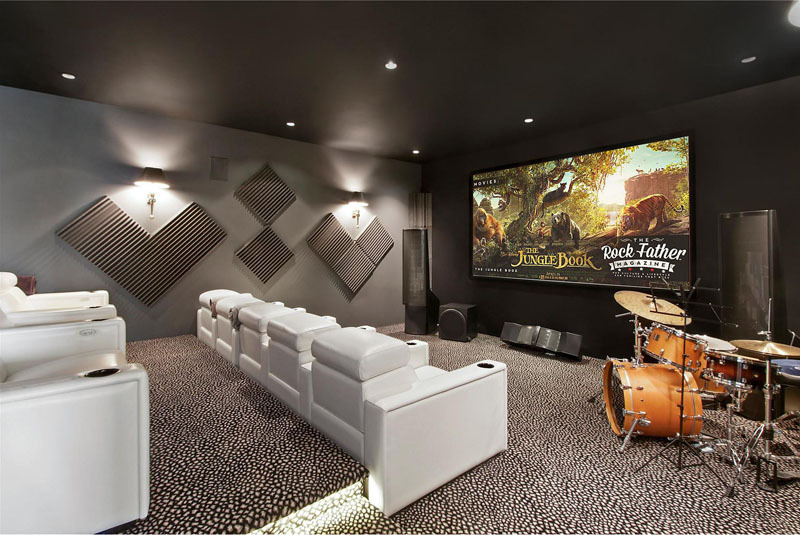 There’s also a home theater that has a tiered white lounge chairs. The space has a black and white motif with a very large screen. 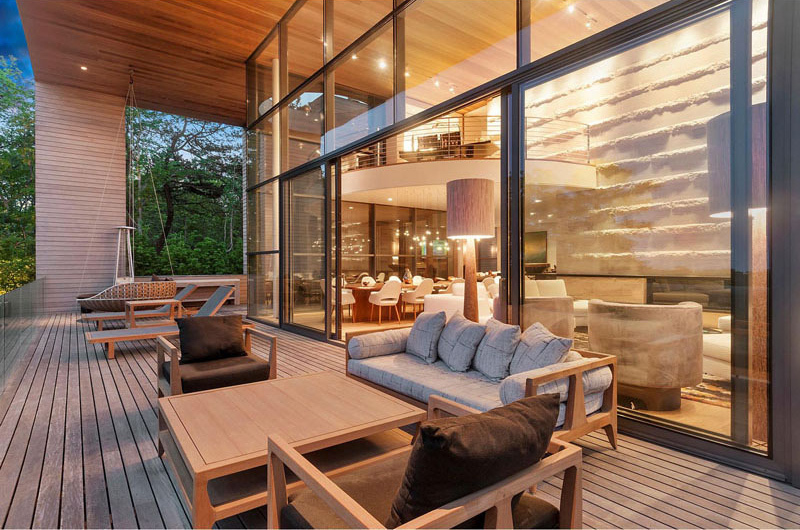 Off the living area is a wooden deck with a lounge. There is also a swing in here which is a nice place to relax while enjoying the views. Off the living area is the balcony with multiple seating options. The seats are all positioned to take advantage of the view. You can see that one really has a lot of choices on where to sit. Upstairs, there is a home office which overlooks the lounge and swimming pool below. You’d no doubt love how the table was designed in this home office. And of course, the view is very nice as well! Such a lovely home indeed! What made it even lovelier is its location and how the home’s layout is done. You can see that the interior has everything that one wants for a home. It even have its own theater and game area. Well, apparently, the homeowners could enjoy living in this house! And this is also such an inspiration for others who are aiming to build a home with a contemporary style. 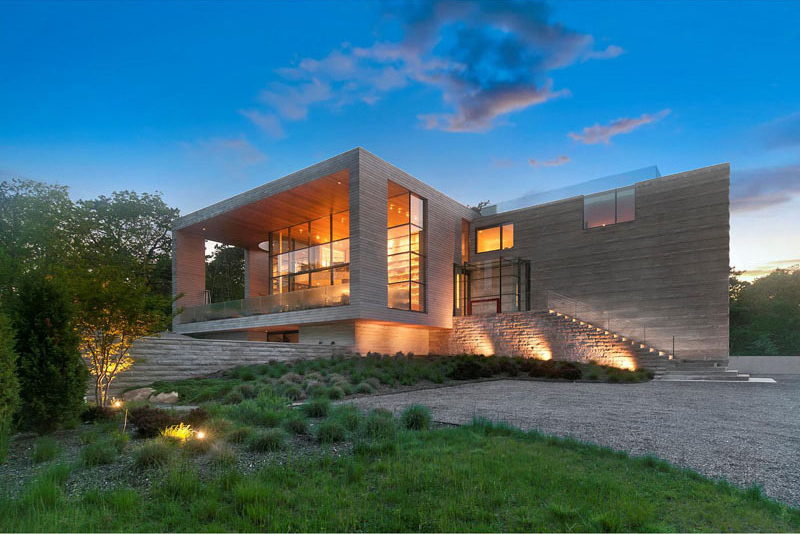 This impressive house is designed by Barnes Coy Architects and with the looks of it, it is indeed a well-designed home. Wherever you are in the house, you will feel very comfortable and cozy. Do you agree with me?